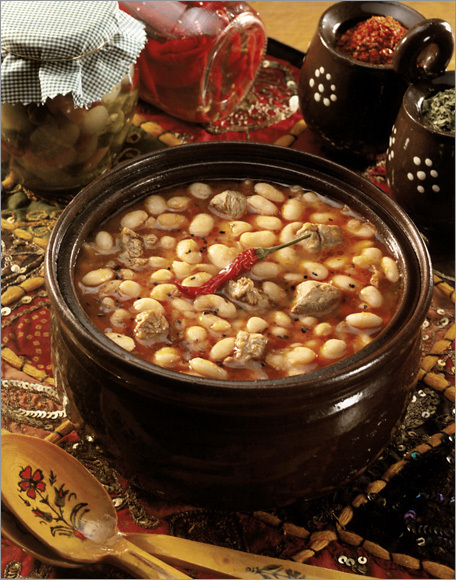 There is a wide variety of dishes in Ankara: Soups such as as dutmac, keskek, miyane, sutlu, tarhana and toyga. Meat dishes include Ankara tavasi, alabortme, calla, coban kavurmasi, lamb cooked with lettuce, forest kebab, meat with eggplant, sizgic, efelek stuffed, manti, sirden stuffed (humbar) and fake stuffed. The pastries include bottom-top pastry, moon pastry, bohca, entekke pastry, hamman, kaha, rolled pastry, papac, Pazar pastry, and tandouri pastry. Among the local authentic food varieties of Burdur, walnut dessert which is designated as "walnut paste at the Yukari Pazar district of Burdur Province and "Burdur shish kebab" worth to taste. You may also taste the local yoghurt and trout at the trout breeding facilities down the road to ancient city of Sagalassos. 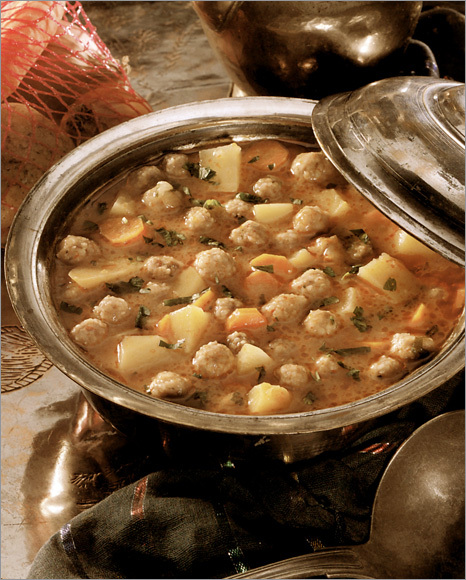 Soups like, dogmeli lentil soup, dogmeli yoghurt soup, Maras trotter soup, meatballs like, simit meat ball, kisir meat ball, fist sized boiled and pounded wheat with minced meat, somelek meat balls, suluyagli meat balls, sour meat balls, meat balls with yogurt, yavan meat balls, eskili aya meat balls; pilafs and pastries like dogme meal, Maras pilaf, chicken pilaf, pastry with cheese and dry cottage cheese, feast shortbread are the regional dishes of Kahramanmaras. The famous Maras ice-cream should not be neglected. The other famous deserts of the region are peanut paste, flour sausage, sausage of dried fruit pulp and hapisa. Okra soup, shortbread, sepe, home made fettuccine, granular pasta, mayali, stuffed vegetables, boiled dumpling covered with yoghurt and garlic sauce, onion meal, cigleme, sarigiburma, and halva with cream, fresh cheese and walnuts are some of the famous meals of Aksaray province, and Helvadere town is famous with its delicious trouts. Cankiri’s regional meals are, pastry with meat, tarhana soup, pan fried filo pastries with various fillings, cizlama, casserole, pihti, harmandasi, fit fit asi, pastry with walnut, cec pastry, mihlama, mutton or chicken and coursely ground meat, çalma, string halva and baklava. In Kırsehir, thick pancake with turkey or chicken slices, sogurme with red meat, and earthenware pot trotters in Tandouri should be tasted. One should taste wines produced from the local grapes, molasses, earthenware pot kebab of Avanos district, pumpkin desert of Acıgol district, lemon and grapefruits stored in the caves of Ortahisar and the delicious apricots of Ortahisar. The Kitchen of Nigde had attained a self original characteristic with its cooking style of various nutrients with various flavors. Among the peculiar meals of Nigde; Nigde tavasi (fried food), beet soup, granular pasta pilaf, ditme, tirit, Nigde canagi, papara, mangir soup could be counted. 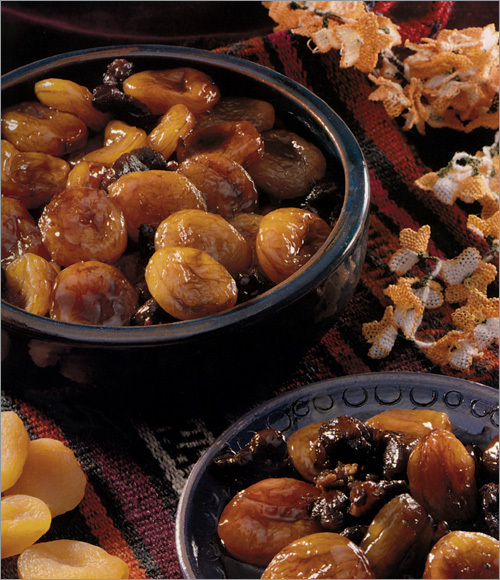 The special and original deserts of Nigde province are husmeni, halveter, kofter and grape molasses. The food culture of Tokat province is quite rich and appetizing. Among the local food varieties Tokat Kebab, Stuffed vegetables with meat, Stuffed Broad Beans, Gendume Soup, Pastry with walnut. Besides these food varieties, the vine of Tokat province is another flavor, especially the Mahlep vine which is produced only in Tokat province throughout the world is worth to taste. Among the authentic meals of Corum province which is famous for its roasted chickpea are, Mayali, Yanic Cizlak, Kombe, Ogmac, Hingal, Poppy Bun, Knotweed, Tirit, Iskilip Dolmasi, Kara Cuval Helvası, Hedik, Telsel, Has Baklava (finely layered pastry filled with nuts). Among the meals of Karaman, Arabasi, toyga, trotter, aslik like soups, cibe, batirik, stuffed grape leaves and stuffed vegetables of village style, mutton or chicken and ground meat, and bulamac can be counted. Dishes made from wheat and pastries are very popular in Yozgat. Arabasi, Knotweed, jug (testi) kebab are the most delicious meals. Goceli Tarhana soup (sun dried curd, tomato and flour), harsil, Circadian meal, raw pastry, folded pastry could be counted among the local traditional meals of Eskisehir cuisine. The meal varieties of the Sivas province mostly depend on the cereals. Keş, peskutan, and cokelik are the meals prepared from milk products. During the summer moths, yoghurt and beet soups, knotweed, evelik, dugurrcek meal; and in winters pastries as tirhit, subura, kelecos, tarhana, fist sized boiled and pounded wheat filled with minced meat, hingel are consumed. The Sivas kebab is also famous. 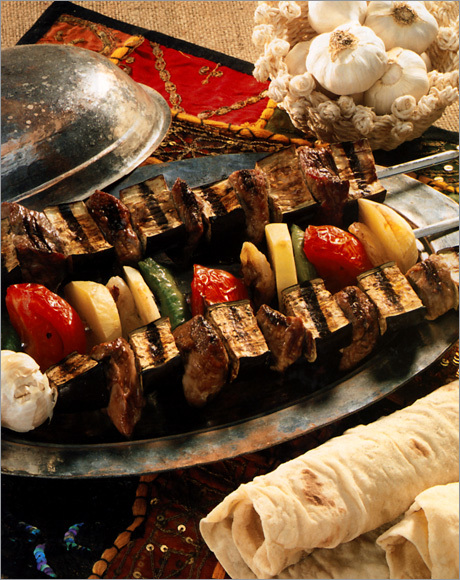 The most famous traditional meals of Konya are, oven Kebap (oily roasted mutton), flat bread with meat, thick pancake usually with chicken slices, liver between two knives, topalak meat balls, cella, sour marrow, marrow with egg, meat and shallots stew seasoned garlic vinegar and cumin, eggplant meal, lamb cooked with cabbage, and Tatar pastry. 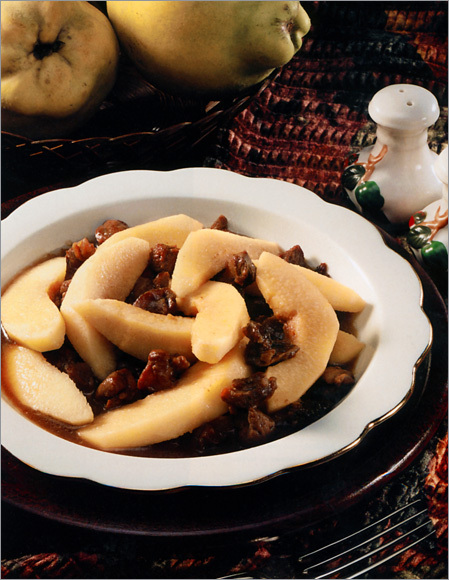 Pastrami, dry fermented sausage and boiled dumpling with yoghurt and garlic sauce are the most famous foods of Kayseri. Grilled cutlet, fried food, stewed and roasted meats are the most popular meat meals in Kirikkale. Phyllo pastry is baked as bread in rural areas. Furthermore, flat baked bread, pan fried phyllo pastries with various fillings, alazlama, kombe and katmer like bread kinds are also widespread. Flour tarhana, tarhana with yoghurt, sizgit, pelte, boiled and pounded wheat pilaf with meat and boiled dumpling with yoghurt and garlic sauce can be mentioned among region specific meals.